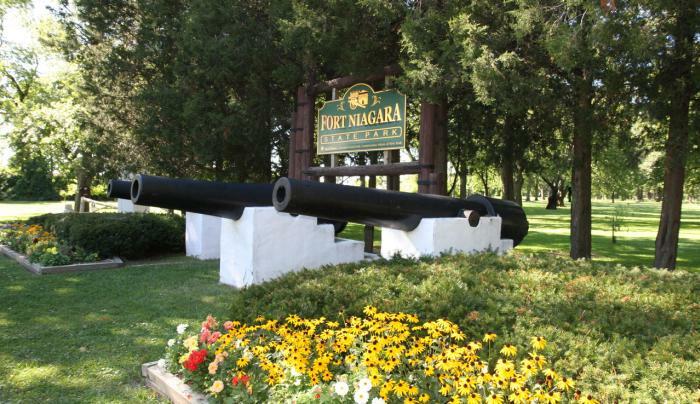 Fort Niagara State Park has two boat launches providing access to the lower Niagara River and Lake Ontario, a fish cleaning station, woodland hiking trails, 3 swimming pools, a waterslide, view of Lake Ontario, picnic grounds, playgrounds, water fowl hunting and 18 soccer fields. In winter, visitors can X-country ski, showshoe and enjoy sledding. Open year round.